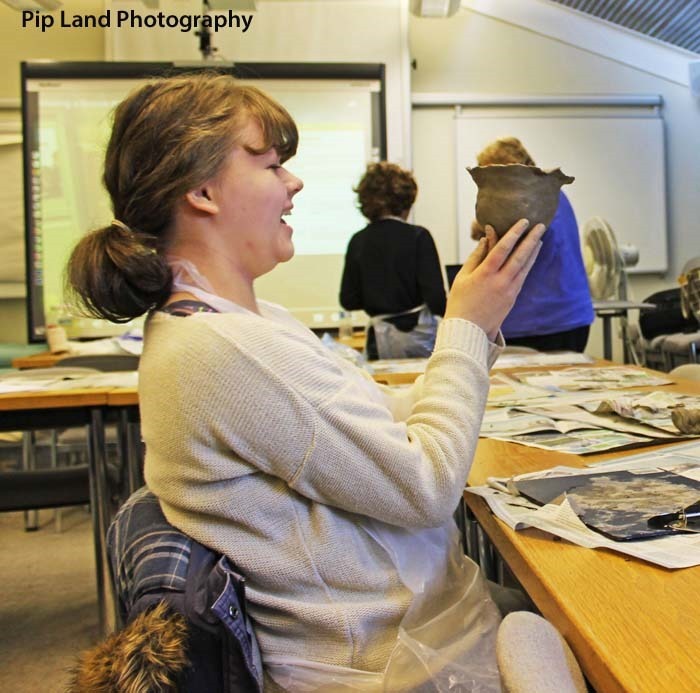 The Young Archaeologists’ Club based at the Dales Countryside Museum celebrates its 10th birthday on December 3. As could be seen at the club meeting in November the young people have a lot of fun experiencing the past for themselves. At the November meeting they worked with potters clay to try and reproduce Bronze Age beakers (above: like that created by Kathryn Lindsey) and reconstructing broken pottery. A Friend of the museum had the job, the day before, of smoothing down the edges on the shards of pottery. In the latest edition of the Friends’ annual magazine, Now Then, Helen Schofield has an article about her ten years as a club member. She explained that their theme this year was prehistory. “Over the years we have done many activities including making butter, gas masks, and stonehenges. We’ve also had guest speakers who did talks on topics such as medieval archery, and Roman military techniques. Due to our outstanding leaders past and present, and their connections in the archaeological world, we have had the opportunity to participate in multiple digs. We have also been to a few festivals such as the Burnsall Viking Festival and the York Viking Festival, which were great fun. 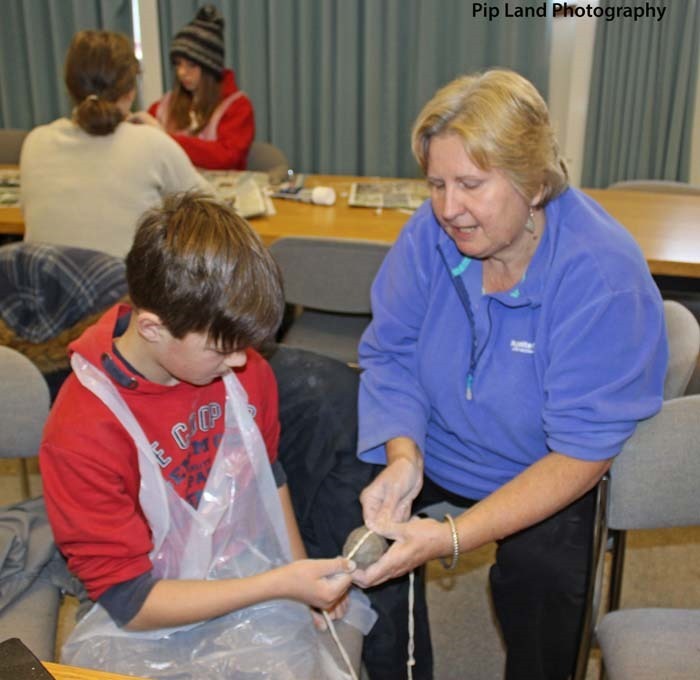 Below: Jane Filby showing Roland Hodgson how, during the Bronze Age, string was used to decorate pots. My visits to the museum also gave me the opportunity to see how the new mining exhibit is developing under the road arch. As the museum manager, Fiona Rosher, reported in Now Then, there was quite a varied team of volunteers who helped at the recent working day. The Yorkshire Dales Mining Museum based at Earby closed in the summer of 2015. It was agreed that the extensive collection relating to Dales mining industries between 1750 and 1910 could be moved to the Dales Countryside Museum. At present most of it is stored away in boxes. Each item will have to be checked and catalogued and new display cases will be required. The museum is seeking funding and grants so that changes can be made to the Goods Shed gallery so as to accommodate the mining display. 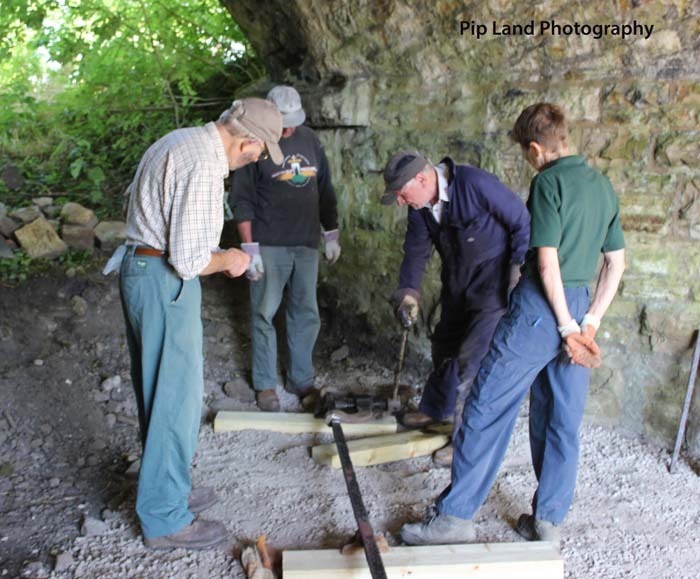 Below: David Carlisle, of the Earby Mines Research Group, cheerfully sharing his expertise and knowledge with Dales volunteers during the working day. From left: Mason Scarr, Stuart Armstrong, David Carlisle and Gill Robinson. 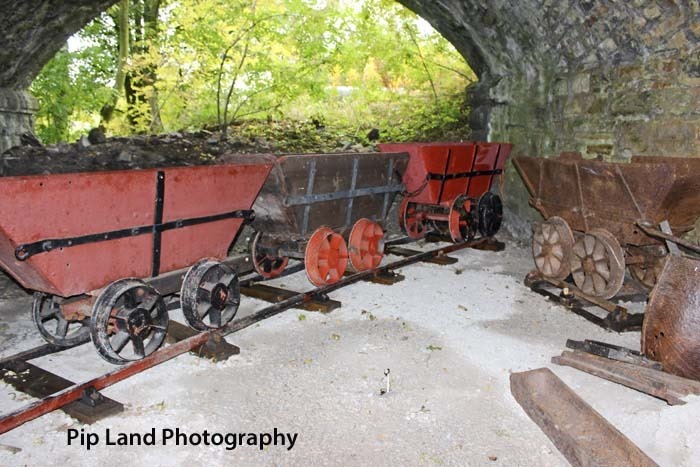 Once the track was laid the wagons, also brought from Earby, were put in place. For more information about the Young Archaeologists’s Club and the museum why not buy a copy of this year’s Now Then. It costs only £2 and is available from the Dales Countryside Museum.